It was a case of out with the old and in with the new after the Lyttelton Port of Christchurch (LPC) funded the purchase of new sporting equipment for the Lyttelton Football Club. The club developed an introductory programme in 2012 to teach young children, aged eight to 13, the ins-and-outs of the game. LPC recently sponsored the purchase of new sporting equipment to cater for the programme’s increasing numbers. 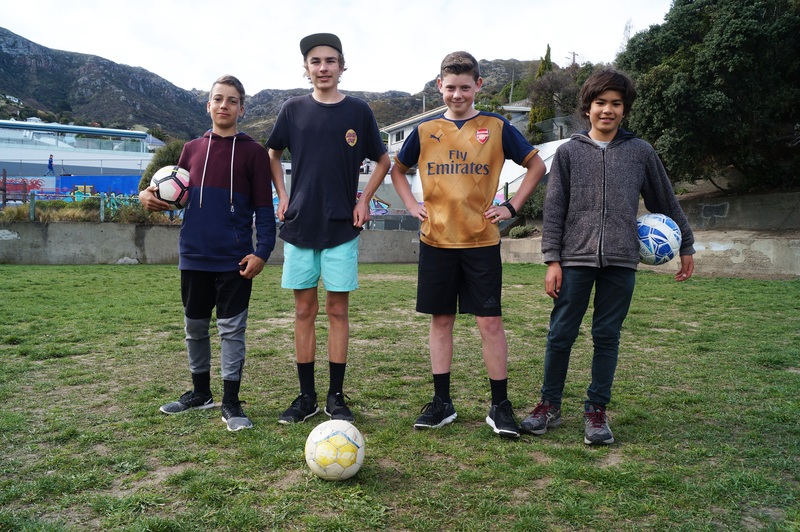 Lyttelton Football Club Head Coach Mick Stephenson said world-famous football players like Lionel Messi and Cristiano Ronaldo were driving local kids to the sport. “Until now we’ve been running the programme using secondhand equipment and make-shift goal posts, so we haven’t had the resources to really excel,” he said. The ‘Introduction to Football’ course is held three times a week at the Lyttelton Primary School and the Lyttelton Recreation Centre. It teaches participants the rules of the sport and helps them develop the basic skills a beginner footballer needs. “We’ve seen an increase in young girls keen to take up the sport,” Stephenson said. Six senior players of the Lyttelton Football Club volunteer their time to run the sessions. The volunteers are eager to help the next generation develop their skills and enjoy the culture of the sport. LPC Chief Executive Peter Davie said the sponsorship was part of the company’s ongoing commitment to the Harbour Basin community in which it operates. “It’s great to see so many local youngsters developing an interest in sport and we’re pleased that our sponsorship has had such a positive impact on the programme,” he said. LPC’s sponsorships range from financial or in-kind support of activities that deliver ongoing benefits to Christchurch and the wider Canterbury region. For more information about the Lyttelton Football Club’s ‘Introduction to Football’ programme, please contact Mick Stephenson on 0210 204 2300.